Essentially two bags in one, the UX2 is designed especially for mothers (and fathers) with two children in diapers. 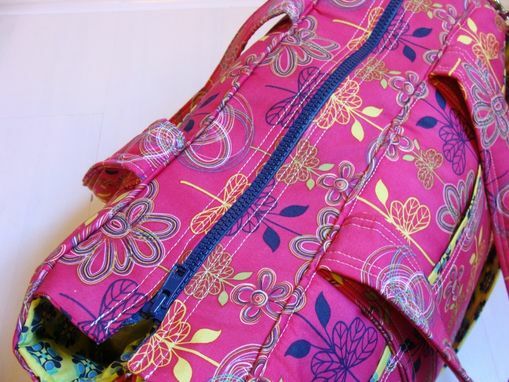 This particular bag is unique in that there are two identical compartments that are separated by a center compartment, so you can pack for two children; but, only carry one bag. 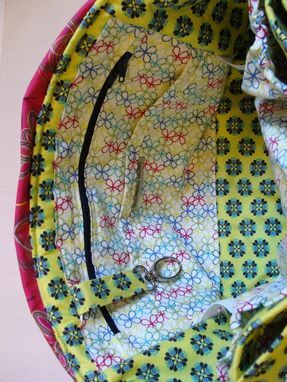 ::Double padded straps with a 9" drop. ::Removable Adjustable Padded (RAP) messenger strap. ::Each interior compartment has a swivel key fob, two elastic sippy cup bands, full length zippered pocket, 3 slip pockets and 2 wide elasticized pockets. 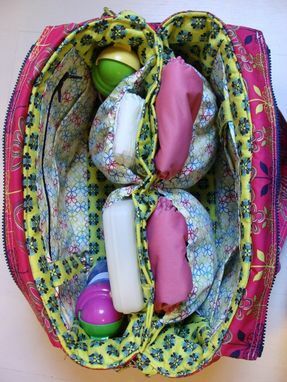 ::There are two exterior side load bottle/sippy cup pockets and 3 more pockets on the front and rear. 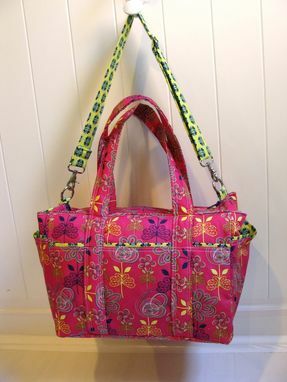 All items are original Watermelon Wishes creations, expertly crafted in my Middleburg, Virginia studio.